Susin Nielsen is a Canadian author for children and young adults. 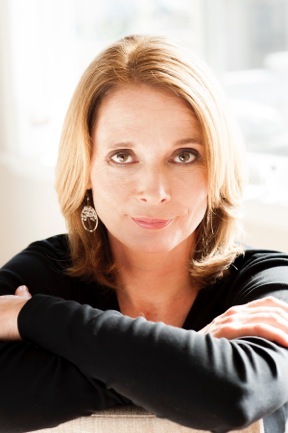 She received a Governor General's Award and the 2013 Canadian Library Association Book of the Year for Children Award for her young adult novel The Reluctant Journal of Henry K. Larsen, which deals with the aftermath of a school shooting. Teenagers are often engrossed in tragedy. As a high school teacher, I see grief all too often, and teenagers especially do not know how to deal with it. Such is the case with 16 year old Petula who is dealing with the death of her baby sister. Petula doesn't quite know how to cope with her sister's death, and since she blames herself, the guilt never goes away. She becomes increasingly paranoid of the world around her, gradually becoming more and more pessimistic. Her pessimism and paranoia lead her to have these unorthodox fears of the world and everything in it. Her parents, who know she is not dealing with their daughter's death, inform Petula that she will be taking art therapy classes. This part of the book reminds me a lot of The Fault in Our Stars as Petula is put into a situation where she doesn't really want to be there, but it is this setting that leads to her being able to pull herself out of her grief-stricken mindset. Well, it's really more of a person, Jacob, who lost his arm in a car crash that claimed the lives of his two friends. Much like Hazel, Petula doesn't want to get close to anyone, but eventually, she realizes that there's more to Jacob than a pity party. Petula and Jacob form a close relationship, more so than Petula ever thought, and they begin to use their talents to build their relationship (and Petula's fascination with cats). Nielsen is able to showcase adolescent grief in a way that encourages readers to understand coping mechanisms and find relationships that can help teens through difficult situations and tragedies. While the romance seems obvious, the story itself remains light. 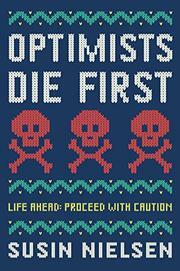 While optimists may die first, Petula begins to find that optimism again and relearn to love life.